Marvel and Netflix are coming together once again to bring to life the story of fictional vigilante Frank Castle, better known as The Punisher, to the mega-successful streaming platform. Frank Castle is, to put it mildly, an incredibly masculine and problematic figure. He’ll surely be divisive in his methods for bringing justice back into the world, and he’s filled to the brim with murky morals and even more questionable methods of operation. He’s a man driven by the need for revenge, who presents himself as an enticing character to find emotional catharsis in, especially if you sit down to binge all 13 episodes of The Punisher on Netflix when it drops on Nov. 17. But while The Punisher presents itself as a rough, grim, dark take on vigilantism in 2017 thanks to Frank Castle, I find that I have to boycott this show in its entirety. Despite the fact that I have a deep and abiding love for all things Marvel, there is nothing productive to be gained from investing in this character or his world. The essential setup of the latest adaptation of The Punisher is this: Frank Castle is a family man and a soldier. Frank is haunted by something that happened while he was deployed overseas, events the outcomes of which have resulted in the murder of his family by those in various high-profile government organizations. Frank’s task: to sadistically brutalize all those who stand in his way of finding out the truth behind why his family was murdered and why he was a target. So yeah, it’s not the breeziest thing Marvel has churned out in recent memory. That it comes swiftly on the heels of the comparatively cheerier and cheekier Thor: Ragnarok doesn’t really do much to get a potential viewer psyched up for The Punisher‘s release or endear viewers to the Marvel brand. And sure, these two titles exist in different areas (theatrical release vs. streaming platform), but you understand the general connective tissue here and why it feels like an odd tonal shift for the world of Marvel. Even compared the admittedly dark and gritty Marvel/Netflix properties Daredevil, Jessica Jones, Luke Cage and Iron Fist, The Punisher promises to be bloodier, more brutal and more heavily reliant on gun power and brute force. All in all, this new series will pack a wallop and a bang; prepare yourself. Even though I haven’t seen the series in its entirety, the trailer and promotional materials alone promise that this particular Marvel/Netflix show is going to favor violence over any kind of peaceful action. Frank is frequently seen tortured, bloodied, a shell of a man. It would be considered a parody of itself if it weren’t so serious about how it’s styled, which makes it somehow all the less appetizing to want to watch. But before you go alleging that I’m judging a book by its cover, I dare you to say that I’m wrong. Does The Punisher promise any kind of lightness or relief from its revenge-driven plot? Does Frank feel like the kind of character you want to invest 13 hours in, emotionally or mentally? If we concede that we, as a society, like to watch TV shows because, to some degree, we look for emotional catharsis or characters we can identify with, is The Punisher then the kind of show you want to put effort into? 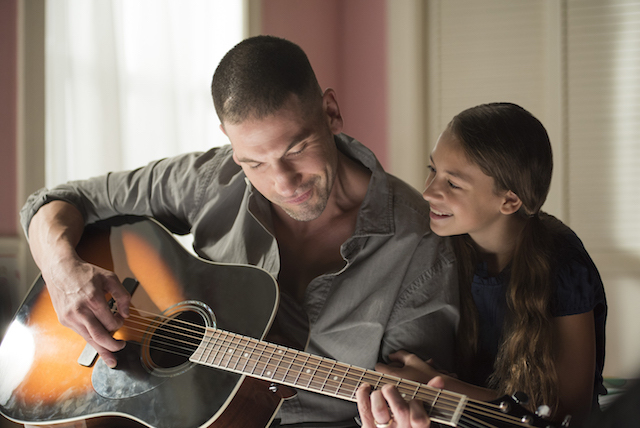 The fact of the matter is that I personally argue The Punisher is not worth devoting any amount of time to, even when investing the bare minimum amount of time, attention and emotion, because — without trying to sound too intensely conservative or pearl-clutch too much — this show arrives at a time when I least desire it in my life. As an American woman in 2017, I’ve borne witness to far too many terrible acts of hate and violence, many enacted with the use of guns by white men. I’ve seen how anger and ignorance can tear this nation apart with the snap of someone’s fingers. 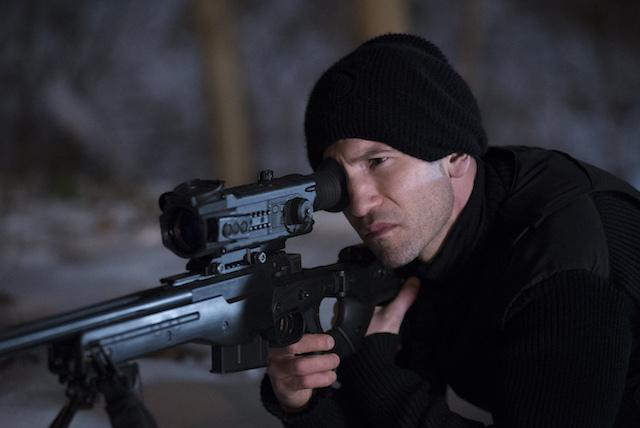 While I don’t demand that all TV I watch be cheerful or happy, what I do take issue with is the timing and subject matter of The Punisher, and frankly, I find the notion of stomaching 13 episodes of revenge a bitter pill to swallow. 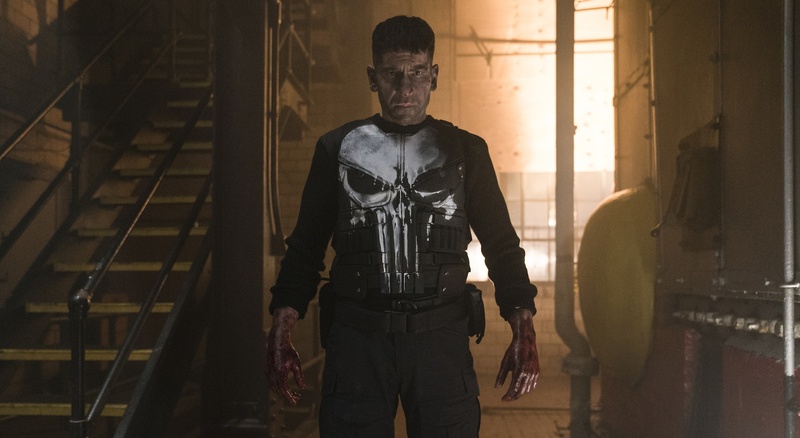 While the team behind The Punisher has changed certain promotional events to acknowledge its connection to violence in the real world, the fact of the matter is that this show is still being released on Nov. 17. It’s going to be released in the second-to-last month in one of the bitterest years in recent memory (can you remember the last time a nation was this dejected?). It’s still going to deliver to us a protagonist (in the loosest sense of the word) who is cut from the same cloth as a large number of shooters who have enacted some of the worst mass shootings in American history, many from 2017 alone. Why would I want to give my time over to the storyline of a man driven by revenge yet using the same methods as men do in real life? Why not just turn on CNN and watch a live news feed? And it’s not just the shooting aspect of The Punisher, still a blood-freezing topic to imagine cheering for when it’s a very real concern to us all, which pushes me to boycott this show — it’s also the notion of revenge. Frank is driven by a need to get revenge on those who hurt him and avenge the murder of his wife and children. This is a very unstable emotion to focus at the core of a character, and it is hardly the kind of productive personality trait that feeds into a hero worth cheering for. A character driven by anger and revenge to the extent that Frank Castle is driven is tough to redeem and admittedly, Frank looks like a damn tough nut to crack in The Punisher. Men seeking revenge for perceived slights is another familiar topic of discussion at present in America. And while Frank and, for example, modern-day male white supremacists don’t feel hurt by the same groups of people nor do they enact violence against the same sorts of people, it’s still a bit nauseating to know that this kind of man is such a stereotype that he can not only be found in the entertainment we watch but also the news we watch. It’s hardly comforting to see men like Frank moving around in the real world, so to have Frank, their mirror, moving around in this fictional world with this same modus operandi cuts way too close to the bone to leave any room left for enjoyment or even mild excitement. Men who feed and thrive on violence, who let anger harden their hearts, who want to tear down those who are wealthy or powerful enough to seek to control them: That is not just The Punisher — it’s real life too. It’s just terrifying to want to immerse yourself in it for hours on end. Why go through it? I’m sure there is something worthwhile at the core of The Punisher. Perhaps there’s some greater commentary about giving up the ghosts, moving on, finding peace and not resorting to violence. But if that lesson is present, then I’d wager it’s brief and fleeting and fails to stick the landing because it’s truly hard to see any kind of redeeming qualities in this TV show. If anything, it promises to remind us of something we already know: violence is easy to embrace, but hard to give up. At a time when America needs to seriously reexamine its relationships to anger, hate and, yes, even violence, The Punisher seemingly fails to introduce anything productive to the conversation.